The Rolling Stones had it wrong - you can get what you want and what you need at the same time. And if you want athletic shoes with style but need work boots with performance, grab a pair of Reebok Men's RB4005 Grey/Red Sublite Work EH Steel Toe Athletic Shoes. ... (see full details) (see specifications) #RBKRB4005. The Rolling Stones had it wrong - you can get what you want and what you need at the same time. And if you want athletic shoes with style but need work boots with performance, grab a pair of Reebok Men's RB4005 Grey/Red Sublite Work EH Steel Toe Athletic Shoes. This footwear features stylish grey and red leather uppers with durable, flexible MicroWeb. You won't look out of place at the gym. But, better yet, you won't feel out of place on the jobsite. That's because these men's shoes come with steel toes that meets ASTM F2413 standards for impacts and compression. In addition to having no exposed metal on the uppers, they also meet ASTM F2413 electrical hazard standards. You'll be able to work harder with less worries! To keep you comfortable on your feet all day, this workwear also comes with some great comfort features. The moisture-wicking nylon mesh lining promotes breathability, so your feet will stay drier. FootFuel injected-EVA cushioned footbeds absorb the shock of every purposeful stride you take. They're also removable for easy cleaning. The Sublite EVA cushioned midsoles give you more stable shock-absorption. And, finally, slip-resistant rubber outsoles help you stay on your feet on less-than-ideal surfaces. Like when your co-worker drops his banana split on the ground and just leaves it there for someone else to clean up. Jerk. Get the best of both worlds in these sharp-looking, hardworking Reebok Men's RB4005 Sublite EH Steel Toe Athletic Red/Grey Shoes. Order yours from Working Person's Store! Very comfortable and light, good steel toe for what I do by being on my feet all day and constantly moving in a fast past. This product is also has good durability and it looks good.I'am a sneaker person that wears sneakers all the time so going to work with steel toe sneakers is a plus for me. These are very comfortable and are true to size. She shoes are also very light weight they also have great slip resistant grip on the bottom of the shoes. I would recommend these especially considering the price. The shoes were delivered sooner than expected. They looked good, but they run too small. I got the shoe in a larger size and wide and could hardly get my foot in it. The good look doesn't mean anything if it's not comfortable. 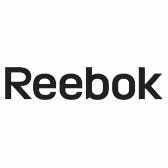 Reebok Shoes: Men's RB4005 Steel Toe EH Grey Sublite Athletic Work Shoes is being added to your cart.